from our run of four gigs in nine days. 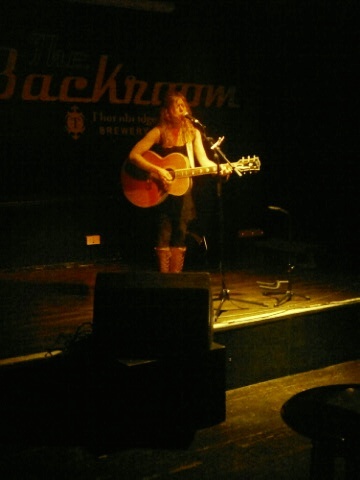 We enjoyed a great show from Jess Klein last night at The Greystones and big thanks to Dave Sleney who stepped in at the last minute to support. Our next stop is this Friday night at Shakespeares when we’re joined by Roaming Son, The Fontana Instincts and Grassoline before we return to The Greystones on Sunday when we welcome Southern Tenant Folk Union back to Sheffield with support from House Of Charms. Details on those and the rest of our upcoming shows including Royal Wood on October 2nd can be found here. Thanks to everybody that came out last night, hopefully we’ll see some of you again in the week.